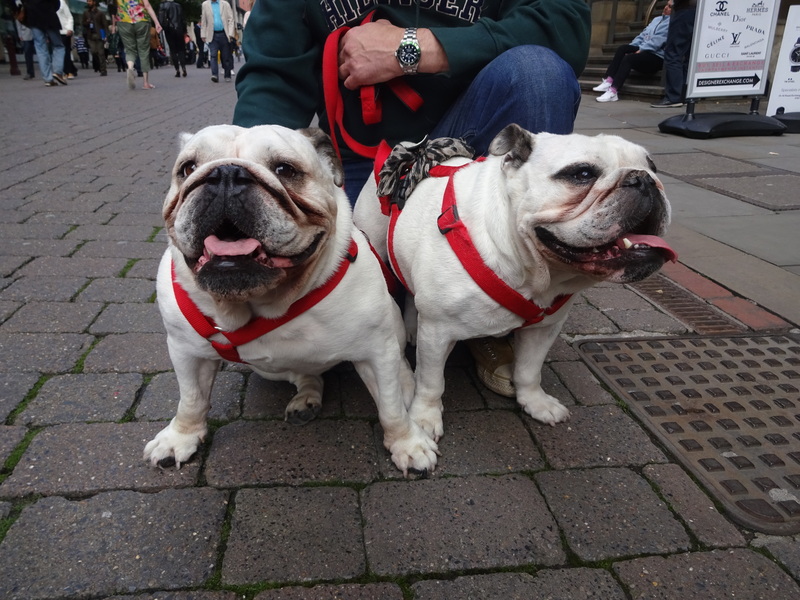 I went for a little walk at lunchtime and I was mega happy when I bumped into amazing Dolly and Betty, two gorgeous Bull Dogs. Dolly and Betty are super friendly, I gave them lots of fuss! Betty is especially friendly she came sat on my knee and I gave her some big cuddles; she loves hugs! Dolly and Betty are sisters, they are from a litter of 5 but they were best friends with each other. When their humans went to see them they couldn’t separate them so they decided they had to take them both home with them! They’re such a cute pair, I’m glad they got to stay together! Dolly and Betty’s humans own a café called Betty and Dolly’s Sandwich Bar and Tea Room, it’s a dog friendly café so the girls get to go to work with their humans. Lots of dogs go into the café and they take a photo of each one that visits and put it up on the wall, what a great idea! They’ve had Bull Dog parties at the café, I hope I can go to the next one! 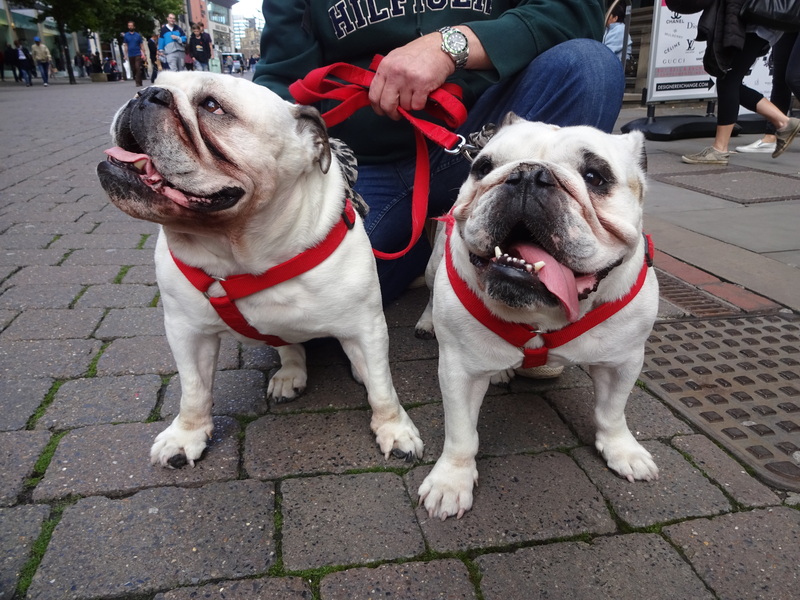 Dolly and Betty are like a pair of celebrities, loads of people stopped to stroke them and a couple took their photo! It takes a while for them to walk anywhere as they have to stop so often for people to stoke them! Favourite pastime: Going to the beach and paddling in the water!